Google outlined its vision for integrated cloud services running over on-premise equipment as well as its own, massively-scalable cloud infrastructure. 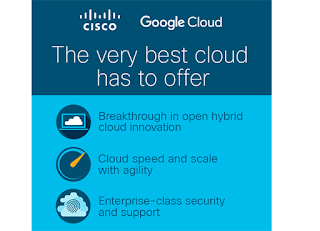 At is Google Next conference in San Francisco, Google presented its Cloud Services Platform, which is architecturally aligned with the joint hybrid cloud products being developed with Cisco. Service mesh: Google is announcing an Istio service for managing services within a Kubernetes Engine cluster. Google is releasing Istio 1.0 in open source, Managed Istio, and Apigee API Management for Istio. 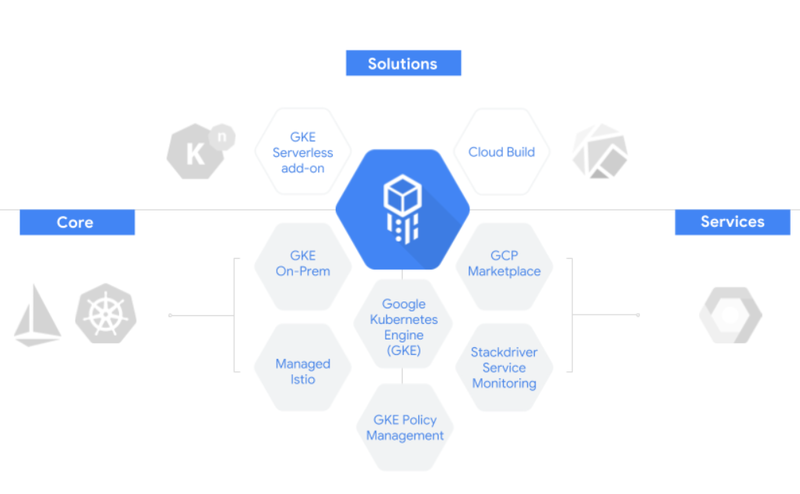 Serverless computing: GKE Serverless add-on and Knative, an open source serverless framework. Essentially, Google is rolling out serverless containers, which allow customers to run container-based workloads in a fully managed environment and to pay only for actual usage. Google is also rolling out Cloud Functions, an event-driven compute service with an SLA and support for Python 3.7 and Node.js 8, networking and security controls. Cloud Functions can be tied into more than 20 GCP services such as BigQuery, Cloud Pub/Sub, machine learning APIs, G Suite, Google Assistant, etc. Google is rapidly expanding its Cloud AutoML (machine learning) capabilities, which is now in public beta testing. Cisco and Google Cloud have formed a partnership to deliver a hybrid cloud solutions that enables applications and services to be deployed, managed and secured across on-premises environments and Google Cloud Platform. The pilot implementations are expected to be launched early next year, with commercial rollout later in 2018. 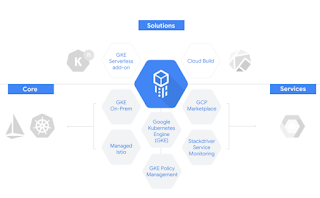 The main idea is to deliver a consistent Kubernetes environment for both on-premises Cisco Private Cloud Infrastructure and Google’s managed Kubernetes service, Google Container Engine. The companies said their open hybrid cloud offering will provide enterprises with a way to run, secure and monitor workloads, thus enabling them to optimize their existing investments, plan their cloud migration at their own pace and avoid vendor lock in. Juniper Networks is bringing 400GbE capabilities across its wide-area network, data center and enterprise portfolio starting in the second half of 2018, including 400GbE in backbone, peering, data center interconnect, scale-out metro core, telco-cloud services and hyperscale data center IP fabrics. The announcement includes product refreshes for Juniper’s PTX, QFX and MX series platforms based on the company's recently announced 400GbE-capable Juniper Penta Silicon, and new generations of ExpressPlus and Q5 silicon. Juniper's in-house silicon brings native 400GbE and Flex Ethernet support with tighter MACsec integration. Juniper said its next-generation silicon also brings forward all existing functionality in previous generations while adding deep telemetry, SPRINGv6 and VXLAN EVPN support. “The impending wave of network traffic is coming from all angles and affecting all industries. Success will be about not only equipping the network with the right technology to handle the traffic in a secure way but also fine-tuning the economics so it makes good business sense. We’re putting a stake in the ground today in leading our customers’ transition to 400GbE network capacity with the industry’s most comprehensive set of use cases, including backbone, peering, data center IP fabric and metro core, to enable our customers to economically usher in the next era of connectivity,” stated Bikash Koley, Chief Technology Officer, Juniper Networks. Juniper is unveiling a new 3-RU PTX10003 Packet Transport Router for next-generation backbone, peering and data center interconnect applications ready to deploy high-density 100GbE and 400GbE. The new PTX10003 is the industry’s first packet transport router to accommodate universal multi-rate QSFP-DD interface for seamless 100GbE to 400GbE upgrades. It features native MACsec support for 160x100GbE and FlexE support for 32x400GbE interfaces. The Juniper PTX10003 is powered by the next generation of its ExpressPlus silicon. Commercial availability is expected during the second half of 2018. Juniper is introducing a QFX10003 data center switch boasting 32x400GbE in a compact 3-RU form factor. The system can scale up to 160x100GbE giving customers investment protection as they transition to 400GbE. The QFX10003, which will be powered by the next generation Q5 silicon, features a deep buffer enabled by Hybrid Memory Cube memory, allowing it to absorb network traffic spikes and reduce application latency across MACsec encrypted 25GbE, 50GbE, and 100GbE environments. QFX10003 is expected to be available during the second half of 2018. Juniper is also introducing new QFX5220 switches powered by the latest generation of merchant silicon and offering 32x400GbE in a compact 1-RU form factor. These switches also offer flexible 50GbE, 100GbE and 400GbE interfaces for server and inter-fabric connectivity, providing deployment versatility and network investment for the 400GbE cloud transition. The QFX5220 is expected to be available in the first half of 2019. 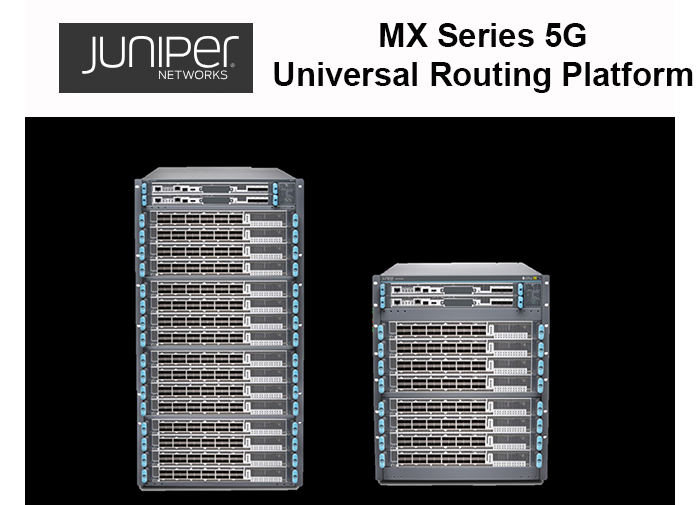 Juniper's recently announced MX Series 5G Universal Routing Platform, powered by its own new Penta Silicon, offers 400GbE interfaces and industry-first support of native MACsec and IPsec encryption that can originate and terminate thousands of IPsec sessions without sacrificing performance. Juniper Penta Silicon-powered 400GbE MPC10E line cards for the MX960, MX480 and MX240 are expected to be available in the first half of 2019. 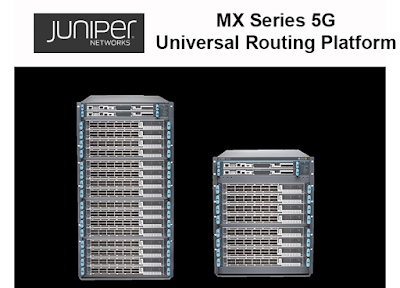 Juniper said its MX Series 5G platform is the first networking platform to support a standards-based hardware accelerated 5G user-plane in both existing and future MX routers to enable converged services (wireless and wireline) on the same platform while also allowing integration with third-party 5G control planes. Juniper expects this will lower total cost of ownership by as much as three to four times over software-based user plane implementations for MXs deployed in the field. 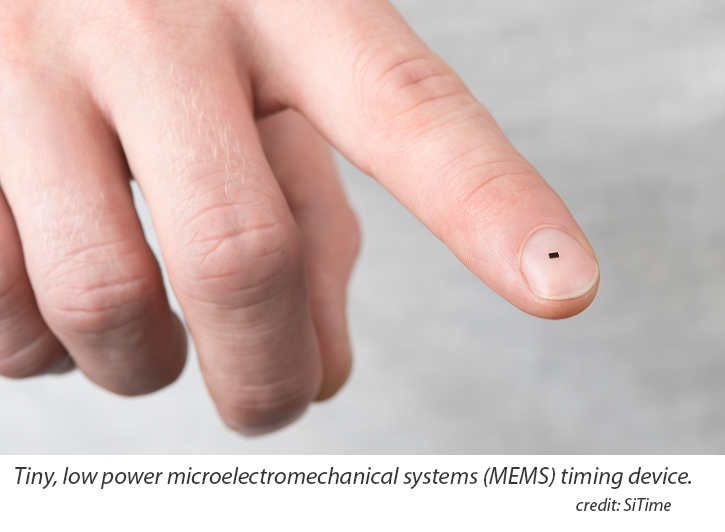 SiTime, which specializes in MEMS timing solutions, and Intel agreed to collaborate on integrating timing solutions for Intel’s 5G multi-mode radio modems, with additional applicability to Intel LTE, millimeter-wave wireless, Wi-Fi, Bluetooth, and GNSS solutions. SiTime said its MEMS timing technology helps meet the high-performance requirements of emerging 5G radio modem platforms, especially in the presence of stressors such as vibration, high temperature, and rapid thermal transients. Such stressors can disrupt the timing signal and result in network reliability issues, lower data throughput, and even connectivity drops. In a challenge to Comcast's Xfinity and AT&T's U-verse broadband and video residential services, Verizon will launch a 5G fixed wireless access service in Houston before the end of the year. Verizon has previously announced Sacramento and Los Angeles as launch cities for its residential 5G broadband service. Verizon CEO Lowell McAdam, CTO and incoming CEO Hans Vestberg are hosting a news conference with Houston mayor Sylvester Turner. Verizon's first 5G application will be a fixed residential broadband service. The first commercial launch will occur in Sacramento, California during the second half of 2018. Additional markets are also expected to launch in 2018. Verizon did not disclose the performance characteristics of its 5G residential service but said it will provide unprecedented wireless speeds for Internet access. Verizon estimates the market opportunity for initial 5G residential broadband services to be approximately 30 million households nationwide. The company also noted that the 5G residential rollout will not have a material impact on Verizon’s consolidated capital expenditures in 2018. CAPEX is expected to be consistent with the past several years. 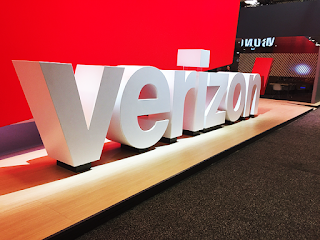 Verizon has selected Samsung Electronics America as a supplier of commercial 5G Fixed Wireless Access (FWA) network solutions. Verizon will begin by launching commercial 5G services in Sacramento, California in the second half of 2018. Financial terms were not disclosed. Specifically, Samsung will provide Verizon with commercial 5G home routers (CPEs), 5G Radio Access Units (RAN) comprised of a compact radio base station and virtualized RAN elements, as well as 5G radio frequency planning services. Samsung said it has leveraged in-house technology and assets to develop the first commercial ASIC-based 5G modems and mmWave RFICs. 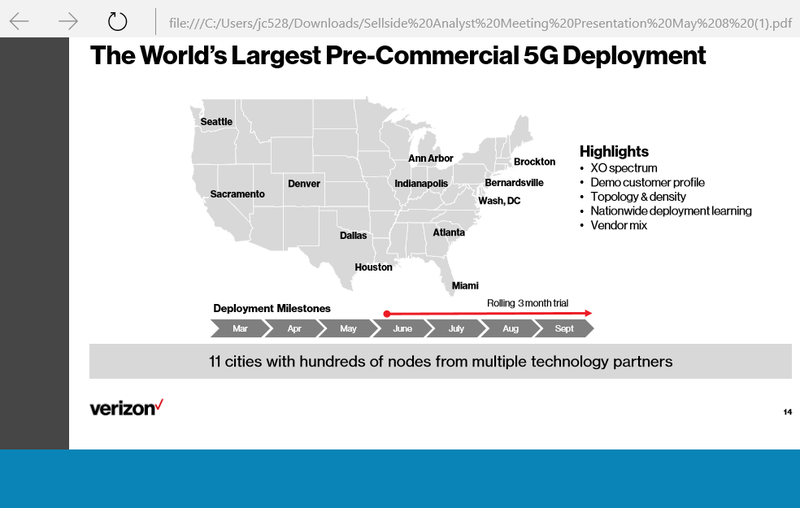 Samsung and Verizon began 5G customer trials across seven U.S. cities in early 2017, and have successfully tested and verified 5G performance using millimeter-wave (mmWave) frequency to provide FWA pre-commercial service. These trials were conducted in California, Georgia, New Jersey, Massachusetts, Michigan, Texas, and Washington D.C.
A single 5G radio has been able to reach the 19th floor of a multi-dwelling unit (MDU). Broadband service has been achieved in line of sight (LOS), partial LOS and Non-LOS connections. Environmental factors, including rain and snow, have not interrupted services. 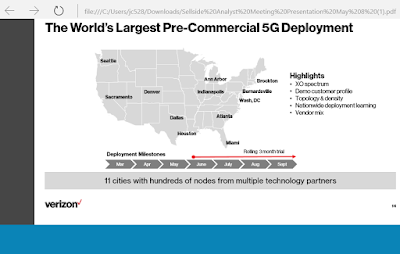 “The industry has been discussing 5G connectivity for years, and through our joint collaboration with partners like Samsung, we are beginning to make it a reality for our customers," said Ed Chan, Chief Technology Architect and Network Planning, Verizon. Verizon reported consolidated operating revenues of $32.2 billion for Q2 2018, up 5.4 percent from second-quarter 2017. On a comparable basis excluding the impacts of Oath, divested businesses and the revenue recognition standard (non-GAAP), consolidated revenues were $30.2 billion, up approximately 2.6 percent. Net income was $4.2 billion and EBITDA (non-GAAP) totaled approximately $11 billion. EPS was $1.00, compared with $1.07 in second-quarter 2017. Total revenues were $22.4 billion, an increase of 5.5 percent year over year. Service revenues for the quarter on a reported basis grew 0.8 percent year over year. 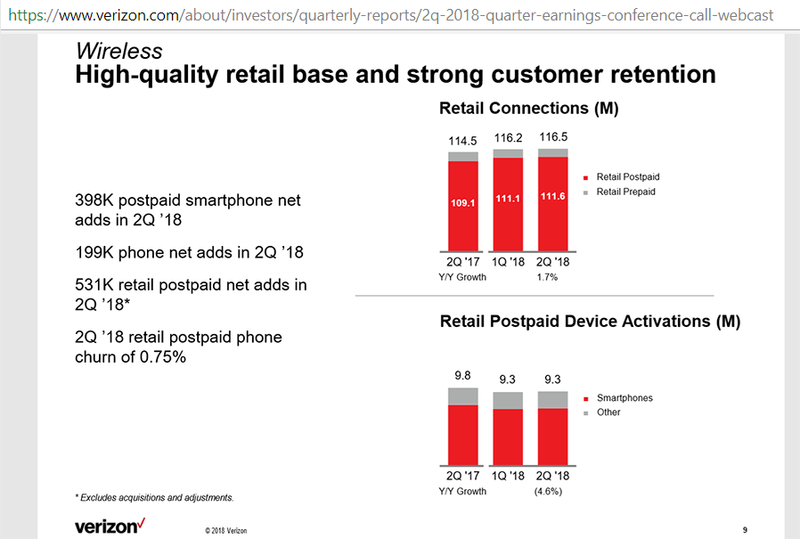 Approximately 82 percent of Verizon’s postpaid phone base were on unsubsidized plans, compared with 81 percent in first-quarter 2018 and 75 percent in the same period last year. Net increase of 531,000 retail postpaid additions, consisting of net phone additions of 199,000, tablet losses of 37,000 and 369,000 other connected devices additions, primarily wearables. Postpaid smartphone net additions for the quarter were 398,000. Total retail postpaid churn was 0.97 percent, slightly up year-over-year. 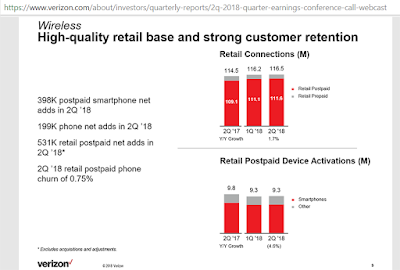 Retail postpaid phone churn of 0.75 percent in second-quarter 2018 was the fifth consecutive quarter of retail postpaid phone churn of 0.80 percent or better. Total wireline revenues were $7.5 billion. Excluding the impact of the revenue recognition standard, total wirelines revenues decreased 3.4 percent year over year in second-quarter 2018. Total Fios revenues were $3.0 billion, an increase of 2.0 percent year over year. Added a net of 43,000 Fios Internet connections, indicative of strong demand as customers value broadband connections more than ever. Verizon lost 37,000 Fios Video connections in second-quarter 2018 amid pressures from cord-cutting of video bundles. Wireline operating loss was $19 million in second-quarter 2018, and segment operating loss margin was 0.3 percent. 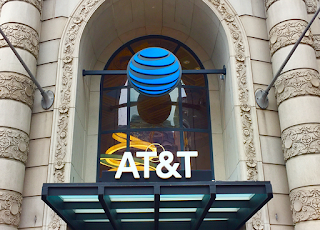 AT&T reported solid wireless results in the second quarter, including postpaid phone gains, continued strong prepaid phone growth and stable postpaid churn. On a GAAP basis, service revenue declined; however, on a comparable basis service revenue grew. Consolidated revenue totaled $39.0 billion versus $39.8 billion in the year-ago. 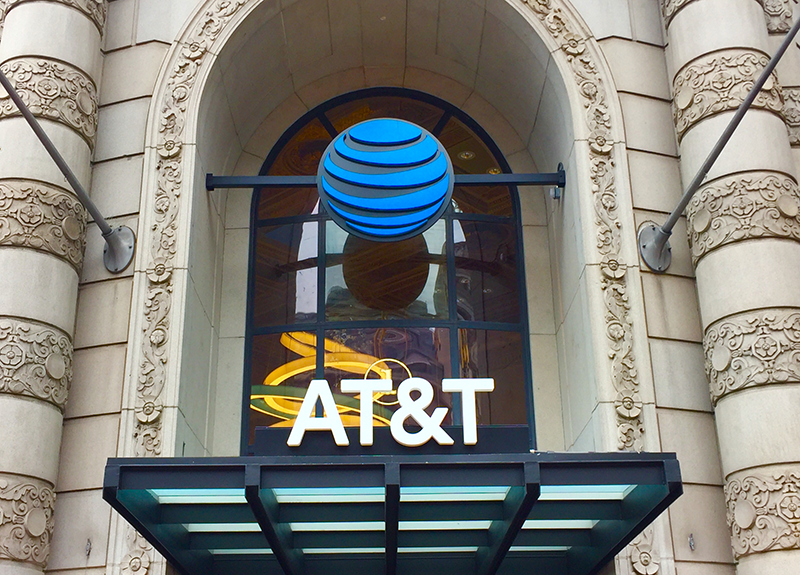 Declines in domestic video and legacy wireline services were offset by adding approximately $1.1 billion from Time Warner net of eliminations and growth in wireless, strategic business services and advertising. On a comparative basis, revenues were $39.9 billion, an increase of 0.2% primarily due to the second-quarter close of the Time Warner acquisition. Record number of series in production at Warner Bros.
Openreach announced a new, supplementary wholesale discount structure for fibre broadband in the UK in return for volume commitments. Openreach said it would offer long-term discounts to all of its Communication Provider (CP) customers from 21 August. The discounts go beyond Ofcom’s pricing controls on its superfast broadband products. BT believes that the new pricing structure will allow CPs to encourage more of their customers onto better services and ultimately to move the vast majority of Britain’s homes and businesses onto superfast and ultrafast platforms. The University of New Hampshire InterOperability Laboratory (UNH-IOL) named Jeff Lapak as executive director of the UNH-IOL. Michayla Newcombe has been promoted to associate director of UNH-IOL. Before this appointment, Jeff has held the positions of associate director, industry lead, and senior manager at the UNH-IOL. As a leader, he’s helped oversee development for many physical layer testing technologies such as 10, 25, 40, and 100 Gigabit Ethernet. Jeff began working at the UNH-IOL as a UNH electrical engineering undergraduate student in 1998 and continued on to earn his MBA from UNH in 2013. Michayla started her career at the UNH-IOL in 2012 as a DHCPv6 test technician while she was an undergraduate at UNH. She graduated from UNH in 2014 with a bachelor's degree in Business Administration and continued to work full-time at the UNH-IOL as quality manager for ISO-17025 accreditation. As the manager for the IP industry, Michayla has recently helped drive the USGv6 and IPv6 Ready Logo Test Programs’ newest programs. With the lab’s recent switch to Agile Methodologies, Michayla leads several agile teams within the UNH-IOL including SDN, IOT and INTACT tool development.